You'll be £20.00 closer to your next £10.00 credit when you purchase The Sniper Encyclopaedia. What's this? 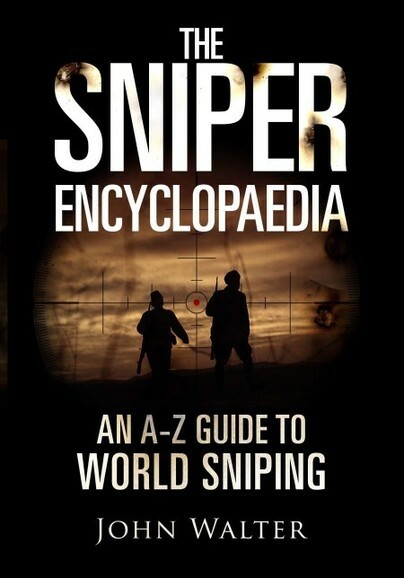 The Sniper Encyclopaedia is an indispensable alphabetical, topic-by-topic guide to a fascinating subject. It is intended as a companion volume to John Walter's Snipers at War (Greenhill Books, 2017) and is another addition to the Greenhill Sniper Library which includes a series of first-person memoirs. This is a comprehensive work that covers virtually every aspect of sniping. The work contains personal details of hundreds of snipers, including world-renowned gurus such as Vasiliy Zaytsev and Chris Kyle as well as many crack shots generally overlooked by history. Among them are some of more than a thousand Red Army snipers, men and a surprising number of women, who amassed sufficient kills to be awarded the Medal for Courage and, later, the Order of Glory. Some of the best-known victims of snipers are identified, and the veracity of some of the most popular myths is explored. The book pays special attention to the history and development of the many specialist sniper rifles - some more successful than others - that have served the world’s armies since the American Wars of the nineteenth century to today’s technology-based conflicts. Attention, too, is paid to the progress made with ammunition—without which, of course, precision shooting would be impossible and the development of aids and accessories, from camouflage clothing to laser rangefinders. Finally, The Sniper Encyclopaedia examines place and specific campaigns - the way marksman have influenced the course of the individual battles and locations which have played a crucial part in the history of sniping, from individual sites to sniper schools and training grounds. The book contains authors’ biographies, a critical assessment of the many books and memoirs from the world of the sniper, and a guide to research techniques.